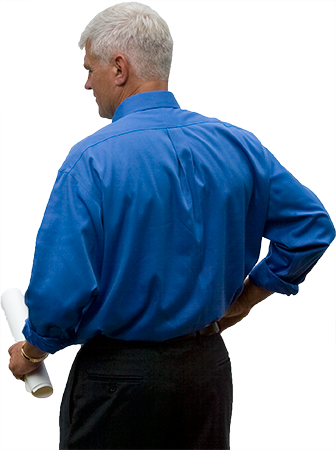 We develop professional solutions which are secure, durable and flexible to adapt to each operation’s business model. The success and satisfaction of our customers is our priority. We are always listening to your suggestions and working to make your business as easy and friendly as possible. 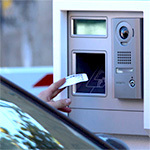 For over 20 years, Shark Byte Systems, Inc. has led a wave of technological innovation in the parking industry with our GarageNet revenue-control solutions and proven that Internet-driven solutions can simplify parking facility management, boost productivity and provide the highest levels of customer service. When it comes to your business, being the last to know is never a good thing. GarageNet solutions provide real-time information and can be updated anytime, anywhere. This gives management the knowledge and power to respond quickly in today’s competitive business environment. 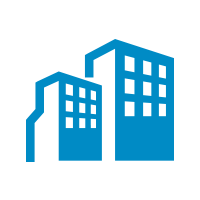 On-demand reports and automatic email and SMS alerts can be customized to report based on any number of exceptions or predefined conditions. Parking facilities provide valuable services to their customers and can’t afford interruptions in service. 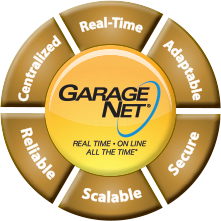 GarageNet is designed to be self-monitoring and fault-tolerant, which reduces downtime. The intuitive touch screen user interface works the way users think. Usability is a primary feature that has been designed into our products from the beginning, ensuring fast transactions. And if you need assistance, friendly and knowledgeable technical support representatives are available 24/7. For years companies have struggled with stand-alone parking products that create islands of information and obstruct management from running an efficient and responsive organization. The GarageNet central server controls security, system maintenance and software upgrades. As the number of locations increase, additional server capacity can be added easily, with no adverse affect on operations. Our centralized application deployment and management saves time, money and headaches while providing optimum performance and uptime. Data security is critical in today’s technology-driven economy. GarageNet solutions adhere to industry-standard best practices to ensure your data is safe and secure at all times, including at the parking facility and in our secure data center. GarageNet solutions utilize secure PCI-compliant payment gateways for credit card processing. GarageNet was also among the first valet parking solutions to offer EMV and point-to-point encryption (P2PE) credit card processing options. Proprietary systems restrict freedom and can limit your business. GarageNet communicates with other vendors’ hardware and software products through standard protocols. GarageNet manages both valet and self-park environments and can be customized to suit your requirements.